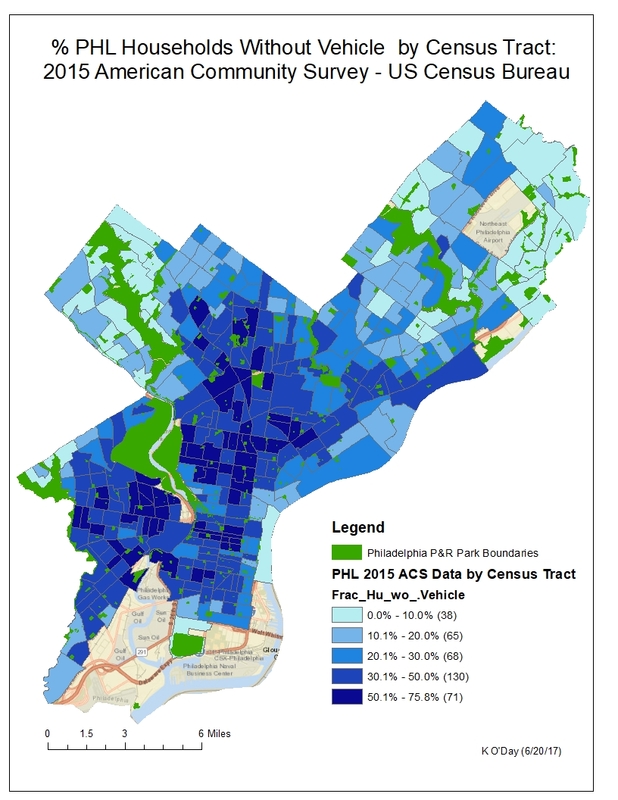 Philadelphia has taken a major step forward with the recent release of the interactive 2017 Litter Index map (link) and supporting data (link). 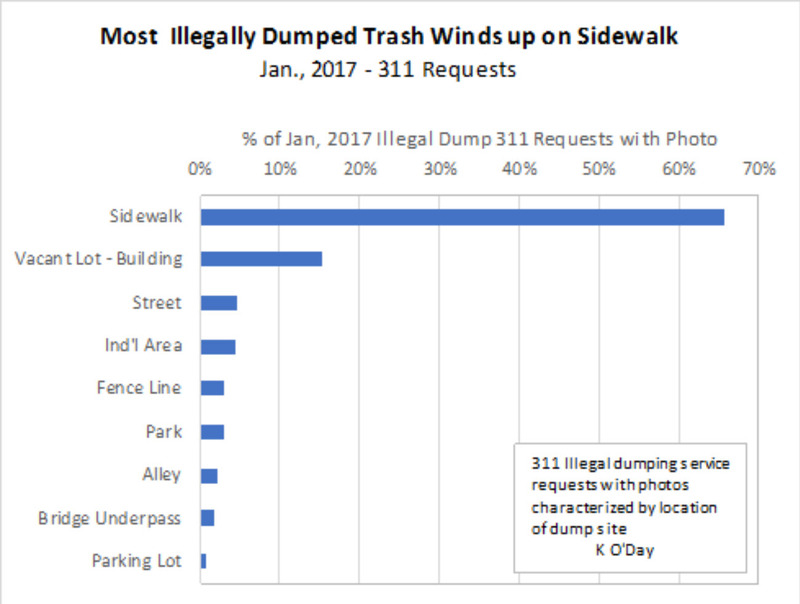 In my January, 2017 post, I compared Philadelphia’s earlier litter index to the then recently released LA Street Litter Index. LA had made significant improvements in their index. 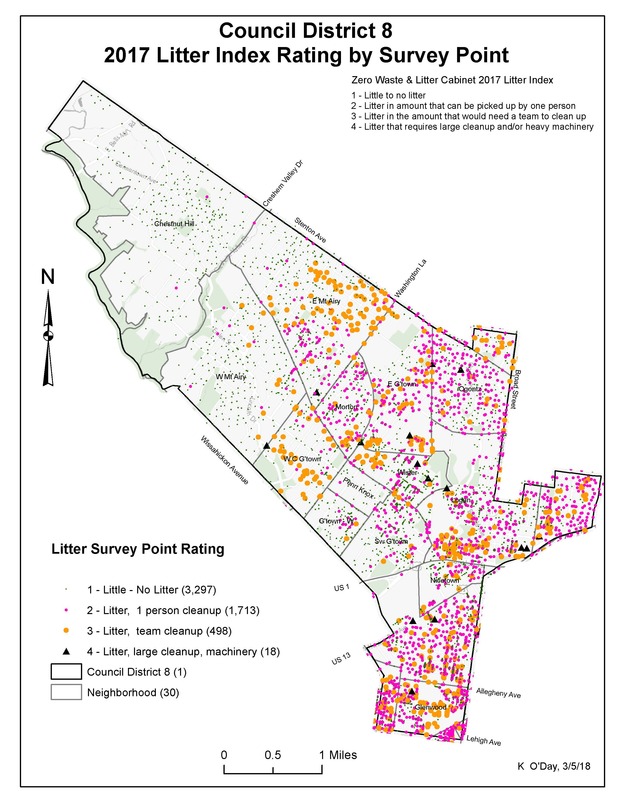 I am thrilled to report that one year later, Philadelphia has a state-of-the-art litter index that provides litter status data for every street segment in the City. Surveyor data included date(s) of survey, litter count for the block as well as a link to field photograph(s). The data is available in CSV files, shapefiles and GeoJSOn files. The best place to start is to look at the Metadata for the point, line and polygon data. 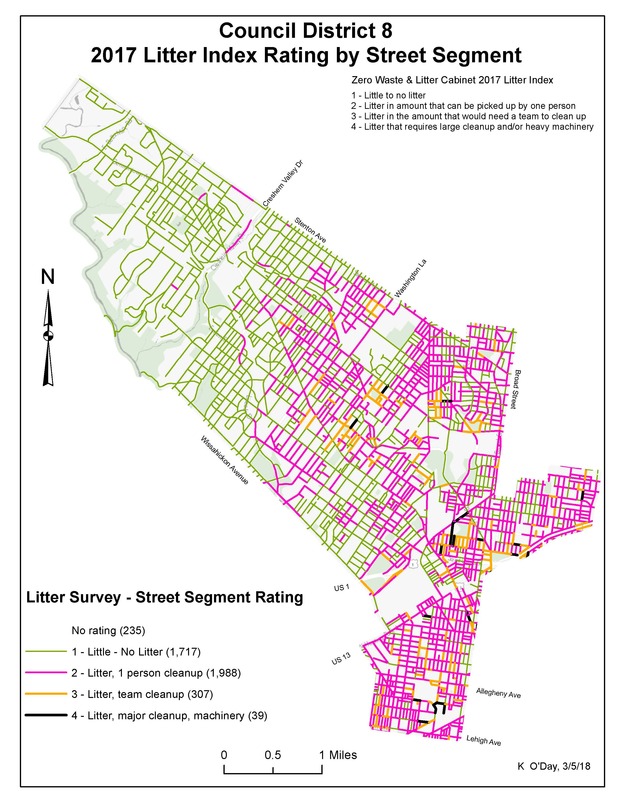 I have started analyzing the 2017 Litter Index Data for Council District 8. These 2 maps show the point survey data and the block – street segment data for Council District 8. Congratulations to the City’s Zero Waste and Litter Cabinet for implementing this comprehensive litter measurement system. 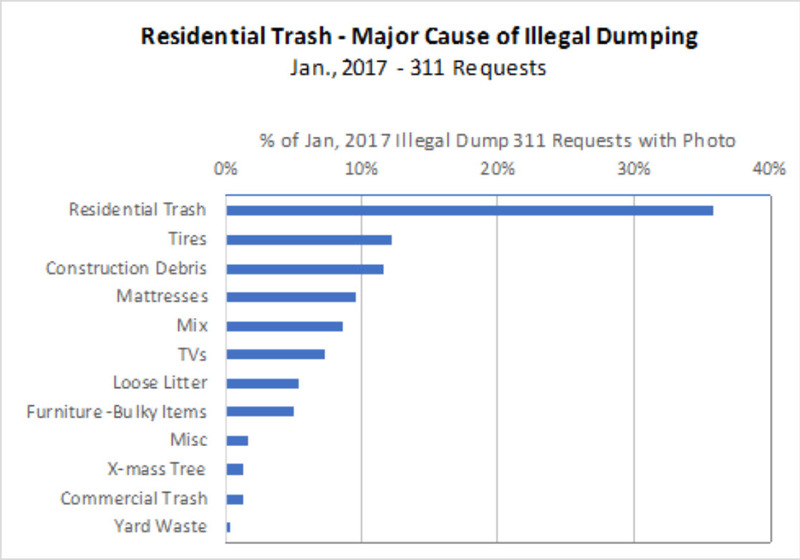 This data will help community groups, individuals, litter activists and City Departments to focus attention on both city-wide and neighborhood priorities and measure progress as we work together to solve the City’s chronic street trash problem. 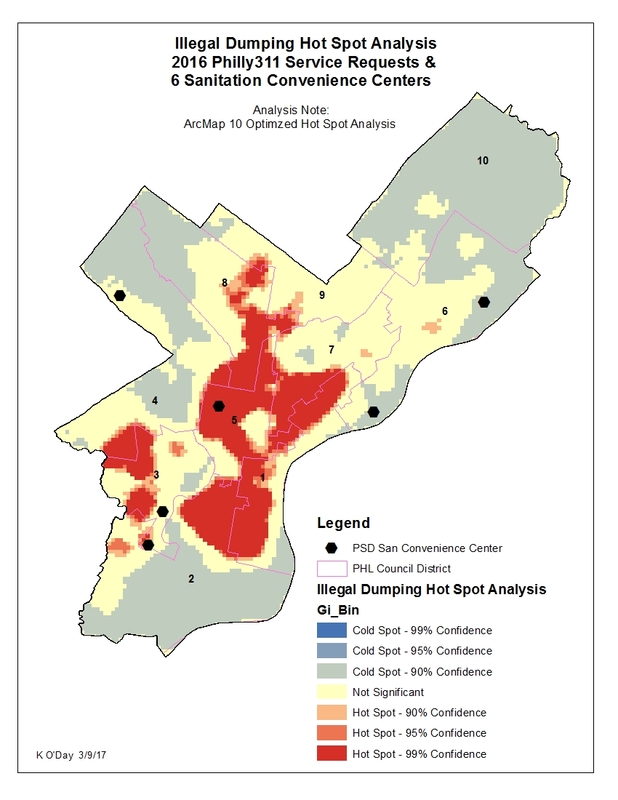 Philadelphia has a street trash problem that is being mislabeled as a litter problem. We all understand litter, the soda bottle, snack food wrapper that is tossed on the sidewalk. Unfortunately we tend to use litter for all “street trash”, both gross illegal dumping and the extraneous snack food wrapper. I have started using street trash to label all street-sidewalk-vacant lot-park space debris, including tires, TVs, mattresses, bulky items-furniture, residential trash as well as the pedestrian snack food droppings. All is trash, all has wound up in our common space, hence the term street trash. 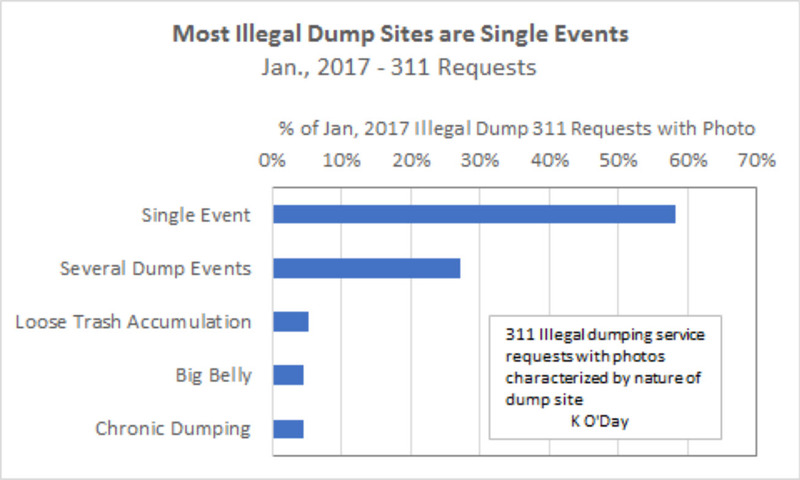 Here are several Philadelphia 311 illegal dumping service request photos taken from the 311 OpenDataPhilly website (link) on Monday, February 6, 2017. Big Belly overflowing with trash. Notice plastic bag with happy face next to Big Belly. Excess trash will eventually fall to sidewalk. Illegal Dumping -bags of trash may rip,spill, and scatter over a wide area, appearing to be “litter” when it is actually trash. Street Litter – where did it come from? Was it dropped by pedestrian or dumped in a bag that ripped and spill trash? 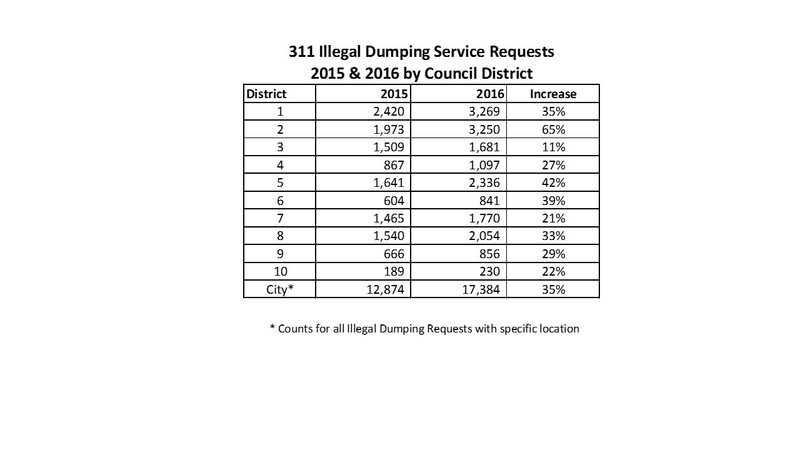 We will only have clean streets when we address and begin to control our illegal dumping crisis. Much of what we call litter actually start as bags of residential trash that are placed on a sidewalk by someone unwilling to wait until the next trash day. Let’s start to call all dumpers by their right name, DUMPERS. An old mattress or soda bottle tossed on the sidewalk comes from the same thoughtless behavior. We need to go after all dumpers, big and small. Philadelphia’s Zero Waste & Litter Cabinet (link, link) is a great opportunity for Philadelphia to begin to control out waste & trash future. It is absolutely critical that we recognize the importance of illegal dumping in litter efforts. We need to tackle both illegal dumping and litter to get our streets to the cleanliness level that we want.